Professor Emeritus Clement Sankat encouraged the students to enjoy the day and learn from the different activities about the University of Belize and the opportunities it provides for high school students who wish to pursue a University education. He also told them he looked forward to welcoming them as UB students in the near future, as a university education was an investment to secure their future well-being. Professor Sankat commended Mrs. Camilla Barker, Admissions Coordinator, and her team as well as Physical Plant and Public Safety Office for supporting this effort. Marketing students from the Faculty of Management and Social Sciences held their annual Marketing Expo in Belize City, Toledo and Belmopan Campus. 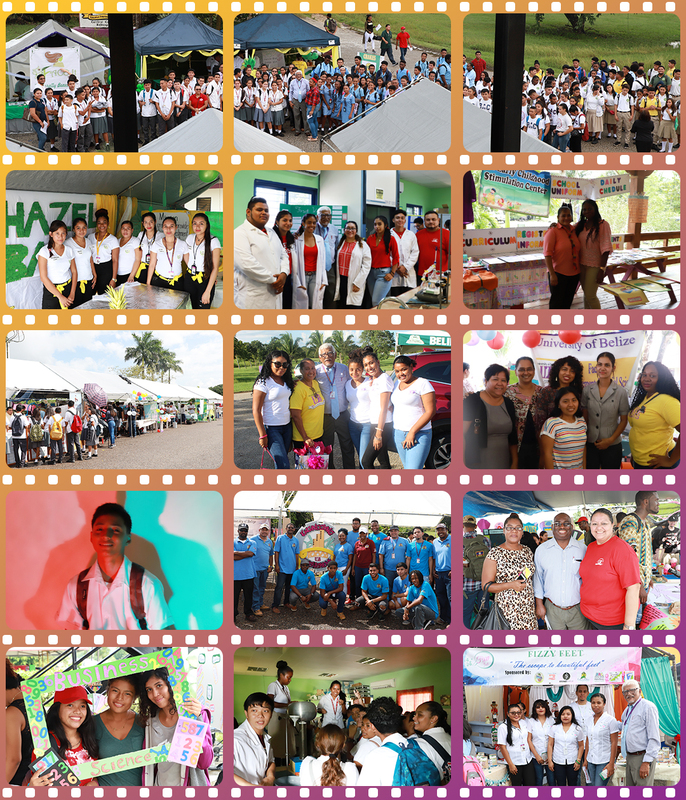 In Belize City the Expo was held on November 15 at the Belize City Civic Center. The Keynote Address was delivered by Mrs. Kim Aikman from the Belize Chamber of Commerce and Industry. The students from Small Business also participated in the Belize City Expo. The following day the students from Toledo Campus held their Marketing Expo. 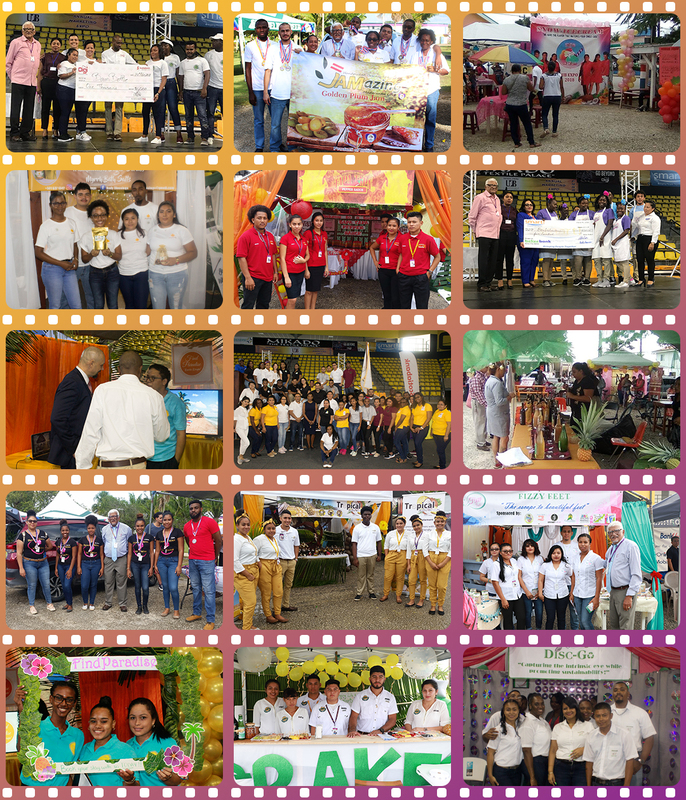 In Belmopan the expo was held in conjunction with Open Day. Students had the opportunity to demonstrate the knowledge and skills they have acquired at the University. 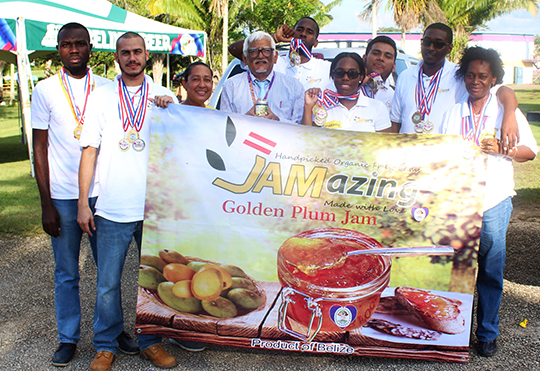 In Belmopan students were also awarded in an overall category where JAMazing placed first, followed by Tapa Tapa Pepper Sauce and Crapine Beer earned third place. Professor Sankat commended all the students for their creative and entrepreneurial efforts. He also acknowledged the lecturers who guided the students. He commended the Dean, Dr. Bernard Watler, Chair Ms. Sharret Yearwood, Ms. Audrey Pascascio, Ms. Eda Arzu, Mr. Glen Enriquez, Ms. Shaunna Sanchez for their sterling efforts. The University’s Faculty of Management and Social Sciences (FMSS) in partnership with BELTRAIDE held its 6th Annual Entrepreneurship Symposium on Thursday, November 15th, 2018 at the Bliss Center for Performing Arts. The symposium, which highlighted several young Belizean Entrepreneurs discussed the role the University of Belize plays or could play in the development of business for Belize’s economic development. It brought together key stakeholders, who promoted and encouraged youth entrepreneurship among University students. Participants included Dr. Leroy Almendarez – the Executive Director of Beltraide, Mrs. Monique Usher – Acting Manager of Small Business Development Center, Mr. Jaime Williams of Development Finance Cooperation and Mr. Ramon Salgado – Business Banking Manager of Scotia Bank; as well as several Belizean Entrepreneurs, who all provided guidance and mentorship to UB students on small business development and who discussed the importance of engaging youth in entrepreneurship for the country’s development. The symposium concluded with closing remarks and vote of thanks by the Dean of FMSS, Dr. Bernard Watler. On April 10, 2019, Belizeans will head to their respective polling stations to vote on whether to refer the Guatemala claim to Belize to the International Court of Justice (ICJ) or not. The University of Belize, as the national university, is pivotal is helping the citizens make an informed decision. The Consortium of the University of Belize and the Social Sector Senators are hosting a lecture series aimed at bringing awareness on Guatemala’s claim to Belize and the proposed settlement of submitting the issue to the International Court of Justice (ICJ) for a final and peaceful settlement. Each lecture in the series features three presentations, including Ambassador Alexis Rosado from the Ministry of Foreign Affairs/International Boundaries Unit, who’s presentation is entitled, “The Facts of the Claim”; Assad Shoman, Author of “Guatemala’s Claim to Belize: the Definitive History”; and the Belize Peace Movement and other stakeholders presenting the “No to ICJ” position. The series began on November 20th at 7:30 pm in Belmopan at the University of Belize’s Jaguar Auditorium and will proceed to all the municipalities across the country over a three-week period. Professor Sankat thanked the Chair of the History Department, Ms. Francine Sabal, for being instrumental in the organization of the lecture series. The general public and students are invited to attend these meetings, and to listen to the lectures that will together present a balanced viewpoint in this most important matter. UB also hosted an “ICJ Be Informed” Youth Forum on November 12, 2018. Professor Emeritus Clement Sankat along with Vice President Dr. Mariot Simon and Chair Ms. Francine Sabal, Chair of History Department, welcomed Belizean historian Assad Shoman to the University. They spoke briefly on the importance of the ICJ referendum educational awareness program. This was followed by; history students, many from the History Club, who took advantage of the opportunity to have a “sit-down” with Mr. Shoman where he shared some perspectives on the Belize-Guatemala territorial dispute and answered questions on the merits/demerits of the ICJ referendum. The University of Belize (UB), once again, demonstrated its ability to shape higher education in Belize and to foster the development of Human Resources that are relevant to addresses the needs of Belize. On November 8th, 2018, UB, in partnership with the Inter-American Development Bank (IADB) and the Statistical Institute of Belize (SIB), launched its Bachelor of Science in Statistics and Certificate in Geographic Information Systems (GIS). As noted by the Dean of Faculty of Science and Technology, Mrs. Julianne Pasos, in her presentation, “both programs were developed to build the existing capacity of the NSS agencies as well as generate a well-trained pool of future employees for the public and private sectors.” As well, SIB’s General Director, Dr. Leopold Perriott, IADB’s Country Representative, Dr. Cassandra Rogers, and UB’s Vice President, Dr. Mariot Simon, each spoke to the importance of these two programs for Belize’s development and the importance of partnerships for development. The launch, which was held at the Radission Hotel, was well attended by the representatives from Belize’s various development partners, including non-governmental, civil society and governmental agencies; and informative presentations on both programs, the admissions procedures for the University and the application process for the three IDB-funded scholarships were made. After winning the internal Macaroni Structural Competition at UB, the top three teams went to represent the University of Belize at the Macaroni Competition held in Instituto Tecnologico de Chetumal, Mexico during November 14-16, 2018. One of the teams placed second and was recognized for an excellent job. The three teams made it in the top ten of 36 teams that participated. Professor Emeritus Clement Sankat congratulates the students and the Engineering Department chaired by Mr. Leonard Mortis for their outstanding performance. The University of Belize Black Jaguars are now competing in the ATLIB Basketball Tournament. The UB Lady Black Jaguars opened up their campaign on Thursday November 15 against the Eagles of Galen University. The Lady Black Jaguars crushed the Eagles by a score of 43-14. They next played against the Scorpions of Sacred Heart Junior College on Friday November 16. The UB females had their best game in this early season winning 46-4 and holding the Lady Scorpions to 0 points in the second half. On November 21, they continued to dominate in the Western region by defeating the Lady Scorpions of Sacred Heart by the score 38-11. The Black Jaguars also had their season openers the same days. They lost their first Wednesday night game 56-66 to the Galen Eagles. The team rebounded against the Scorpions in the Friday night thriller that saw the Black Jaguars trailing at halftime but fought furiously to triumph 56-52. The Black Jaguars also won their second game of the tournament in another exhilarating fashion. Despite playing in a partisan environment the team jumped out with the lead from the get go to hold a halftime lead 47-34 over the Scorpions of Sacred Heart. The fourth quarter was pivotal for the Black Jaguars as they were able to hold off a furious charge from their opponent to win 75-71. On November 14th, 2018, University of Belize Information Technology student team (Technocrats) comprised of Tara Thomas, Kendesha Armstrong and UB graduate Niam Villanueva participated in the Belizean Apps for Development Competition 2018, organized by Directorate General for Foreign Trade and Belize Coalition of Service Providers and the Belize Association of I.C.T. The event took place at the Best Western Plus Belize Biltmore Plaza, and team Technocrats placed first in the “Application to Facilitate the Birth Certificate Application Process” category. The team created a web-based/ mobile application that provides updates on the application process and its related costs; documentation scanning and submission; and appointments/ pick up dates for birth certificates for Belizeans nationwide. The application also included a feature to apply for marriage and death certificates. The President congratulates the winning UB team. Well done! Former and current graduates of the University of Belize’s Social Work Program can now seek advanced degrees in the United States. The Council on Social Work Education (CSWE), the recognized body by the Council for Higher Education Accreditation for accrediting social work education in the United States, approved and acknowledged the University of Belize’s Bachelor of Social Work’s academic credentials as comparable to accredited baccalaureate degrees in social work in the United States. This international recognition is necessary to provide pathways for the attainment of advanced degrees in the US for social work graduates of the University of Belize (UB). The Faculty of Management and Social Sciences organized a lecture series on the November 7th, 2018 at Jaguar Auditorium to enhance the students’ exposure to real world experiences from business partners. There were two presentations: The use of Information Technology (IT) in accounting, presented by Mrs. Irene Tuyud-Garcia, proprietor, Innovative Accounting Services, Belmopan; and Entrepreneurship and Challenges by Mr. Terrence Punjabi, Proprietor, Marenco’s Fast Food, Belmopan. The presenters brought a wealth of experience in their respective areas and shared their knowledge and challenges with the students. Mrs. Garcia explained that companies develop and use computerized system to track and record financial transactions. IT networks and computer systems have shortened the time necessary by the accountants to prepare and present financial reports to the management. She explained that when you are honest and hardworking, customers will seek your service. To be successful you must also be able to work hard in the face of obstacles, boredom, fatigue, stress, and the desire to do other things. These are the attributes of a true entrepreneur. Mr. Punjabi narrated his struggle to establish and successfully run the fast food restaurant. He also presented the characteristics of an entrepreneur, experiences and challenges faced by the entrepreneur and pros and cons of being an entrepreneur. He emphasized that taking care of employees, listening to customers concerns, quality of service and products offered were the reason behind his success. He highlighted the hard work and dedication that is needed to be a successful entrepreneur. Both presentations were well received by the students and faculty members. They had the opportunity to ask questions and interact with the presenters. 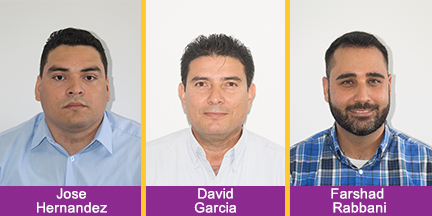 On November 7, 2018, Jose Hernandez, David Garcia, and Farshad Rabbani, Information Technology lecturers of the Department of Mathematics, Physics, and Information Technology, research article entitled “Tree Traversal to Achieve Generalization for Data De-identification”, was published in the Theoretical Informatics and Computer Science section of the International Journal of Open Information Technologies (ISSN 2307-8162, Vol 6, No 11 (2018)). The International Journal of Open Information Technologies (INJOIT) is an all-electronic journal that publishes the most recent and unpublished research and development results in the area of information technologies to the scientific and technical societies, and is published by the OIT Lab (Open Information Technologies Lab, Faculty of Computational Mathematics and Cybernetics, Lomonosov Moscow State University). Lomonosov Moscow State University (MSU) is the highest-ranked coeducational and public research university in Russia, founded on 23 January 1755. Every day data is published of different types and from various sources. Data de-identification protects the privacy of most of this data before its publication. Over the recent years, a technique proposed by Dr. Sweeney, known as k-anonymization as a means for privacy protection has gained great popularity. There has been intensive research involving this method and many alterations, in the hope to find an optimal solution in real-time to the generalization problem. To achieve either generalization or suppression, researchers have used different types of heuristics, most of them being tree-based. Although this is a heavily investigated area, there is no simple method to prepare data for generalization; in theory, there are infinite methods for data preparation and partitioning. In this research, we first propose the use of commonly known algorithms to prepare data and achieve generalization. We then introduce the use of tree-based algorithms and tree traversal as the mechanism to achieve data generalization. We further investigate them, by comparing the quality of generalization sets obtained in each traversal method, in the hope to determine which method is best. Students take pride in beautifying the Belmopan campus! They worked hard throughout the semester weeding, planting, fertilizing, pruning plants and keeping the campus beautiful. President along with the Beautification Committee applauds the hard work of the students. Let this be an inspiration also for students, faculty and staff in Belize City and Punta Gorda Campuses. Let the transformation continue! The International Forestry Students’ Association – UB held a mini seminar on November 15, 2018 entitled “Forest Education”. The presenters were Denver Cayetano, Brian Lopez, Liborio Santos, and Daril Avila who spoke on the Herbarium, Nursery, Wildlife, and Composting projects respectively. The Faculty of Science and Technology held its annual GIS Symposium on November 16, 2018 at the Belmopan Campus. 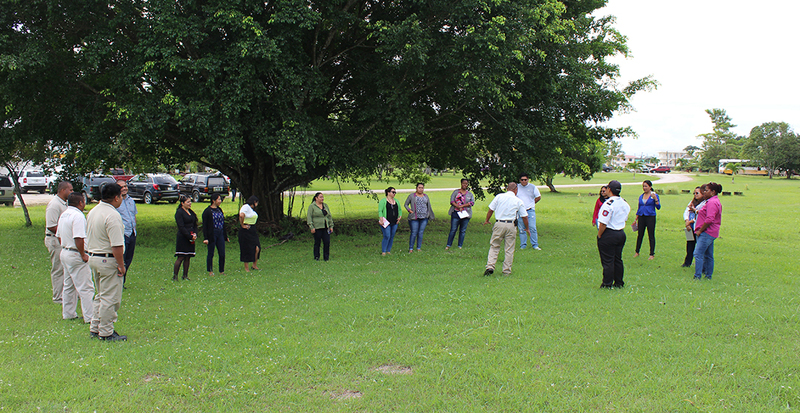 It was held under the theme “The Application of GIS Technology in Belize”. The presentations were made by persons who work with GIS on a daily basis. They demonstrated with evidence the advantages GIS has in data collection which in turn aids in better planning and development. 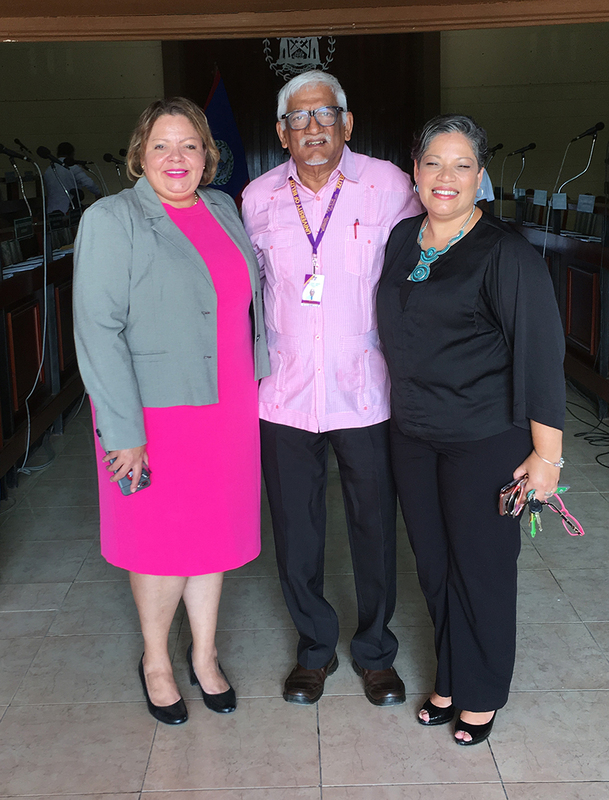 Professor Emeritus Clement Sankat spoke on the advantages of GIS and encouraged those present to pursue their Certificate in Geographical Information System (GIS) at the University of Belize. The Environmental Club has stepped up its recycling initiative by partnering with Bowen and Bowen in order to recycle more plastic bottles. Professor Sankat attended the program ceremony on November 13, 2018 and commended the students on the creation of a recycling center on Campus for plastic bottlers, with recycling bins to be placed strategically on the campus. He commended both the students and Bowen and Bowen for the partnership that will also generate some income to the club. He also thanked Mr. Francis Burns and his team for facilitating the work of the students. The club is advised by Assistant Professor, Dr. Saqui and UB Field Technician, Ms. Justine Myvett. In light of Breast Cancer Awareness month, the University of Belize held it is Second Annual Hair-a-ton on November 7, 2018 at the Gazebo in the Belmopan Campus. Students, faculty and staff had the opportunity to donate part of their hair to the Belize Cancer Society. The Faculty of Science and Technology and Environmental Research Institute, in partnership with the Government of Belize and its associated Reducing Emissions from Deforestation and Forest Degradation (REDD+) Program, the Protected Areas Conservation Trust, the Forest Department and the National Climate Change Office held a special talk on REDD+ by Ms. Federica Bietta of Coalition for Rainforest Nations on Thursday, November 15th. Ms. Bietta is the co-inventor of REDD+ and is currently working on an initiative called the REDD+ Catalytic Fund. 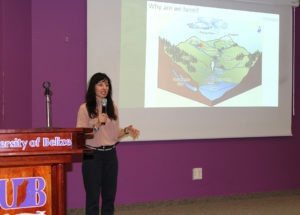 In addition to defining deforestation and forest degradation and its implications for development, the main thrust of Ms. Bietta’s presentation was to discuss the importance of forest conservation, sustainable management of forest and the enhancement of forest carbon stocks in an effort to enhance Belize’s land-use sector’s readiness for addressing climate change. The Faculty of Science and Technology held a presentation delivered by Dr. Claire Evans of the National Oceanography Center of the UK on Thursday November 8th, 2018 at the UB Gym. Dr. Evans’s presentation was titled, “Land-ocean coupling in the Belize river catchment; the influence of land use on coastal water quality”. This presentation presented an overview of a project led by the National Oceanography Center of the UK in collaboration with the University of Belize and the Coastal Zone Management Authority and Institute of Belize to look at land use changes within the Belize River Watershed and how it impacts water quality and coastal processes. 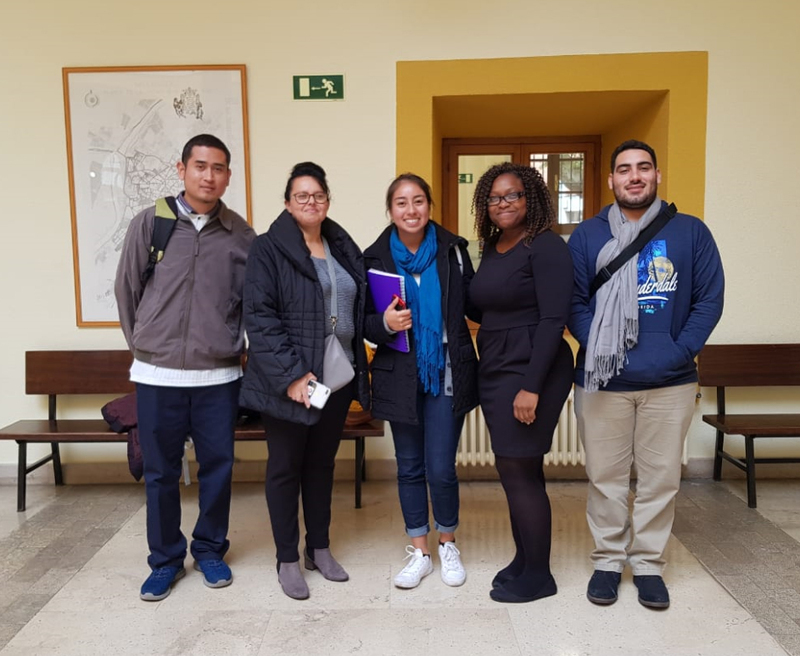 Mrs. Rose Pineda, Registrar, along with Ms. Sheena Zuniga, Production Assistant, and Mr. Griffith Gabourel, Senior Information Technology (IT) Technician recent returned from a visit to the University of Valladolid, Spain which was funded by the Erasmus + European Project. On Friday, November 16, Mr. John Salam from the Public Safety Office along with Ms. Eldora Rubio, Officer in Charge, from the Belmopan Fire Station held a quick training on Fire Preparedness and how to use a fire extinguisher. The staff members present were able to learn on the importance of quick evacuation in case of an emergency, fire classification and practice extinguishing a fire with a fire extinguisher. The House of Representatives at its meeting on November 23, 2018 paid tribute to former President of Cuba, Comandante Fidel Castro, on the second anniversary of his death. Professor Emeritus Clement Sankat at the invitation of Honourable Laura Tucker Longsworth, Speaker of the House of Representatives, attended the tribute. Photo: President Sankat (center) met Hon. Tracey Taegar-Panton (left), Minister of State in the Ministry of Investment, Trade and Commerce, and H.E. Lou-Anne Burns (right), Ambassador of Belize to Cuba.